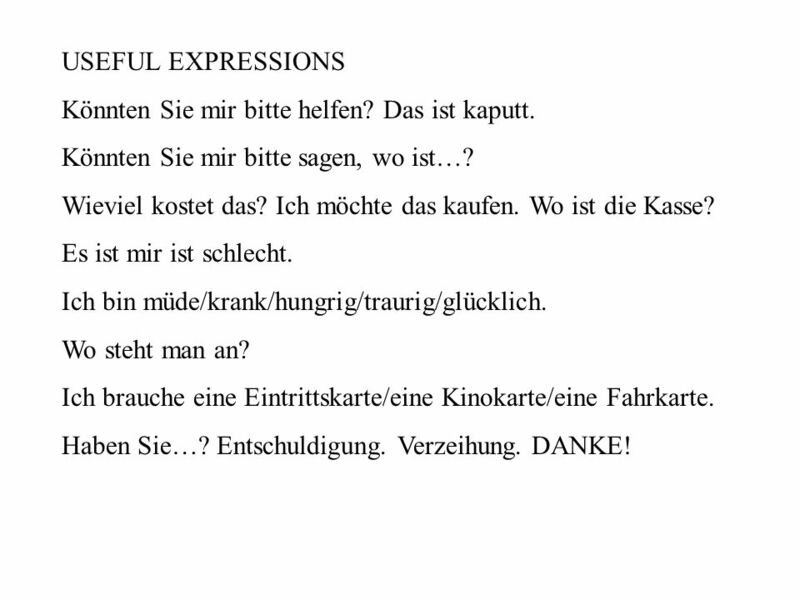 3 USEFUL EXPRESSIONS Könnten Sie mir bitte helfen? Das ist kaputt. 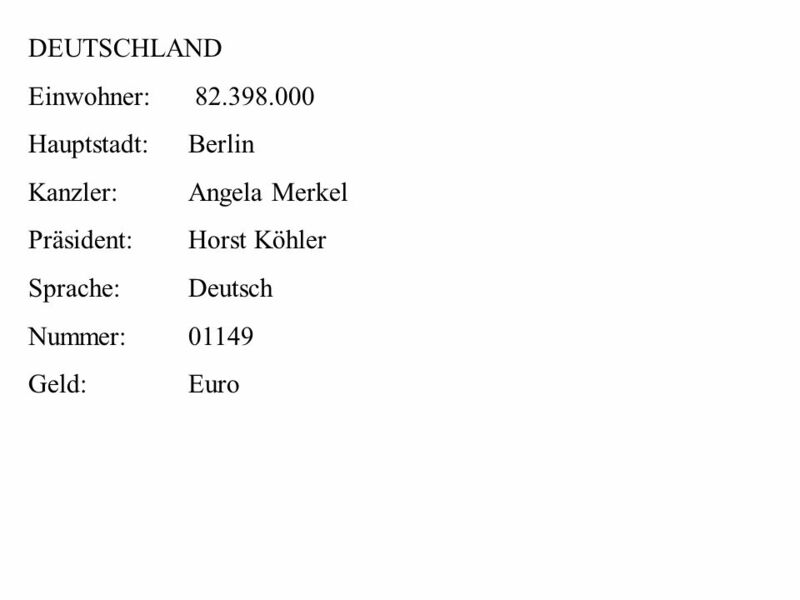 Könnten Sie mir bitte sagen, wo ist…? 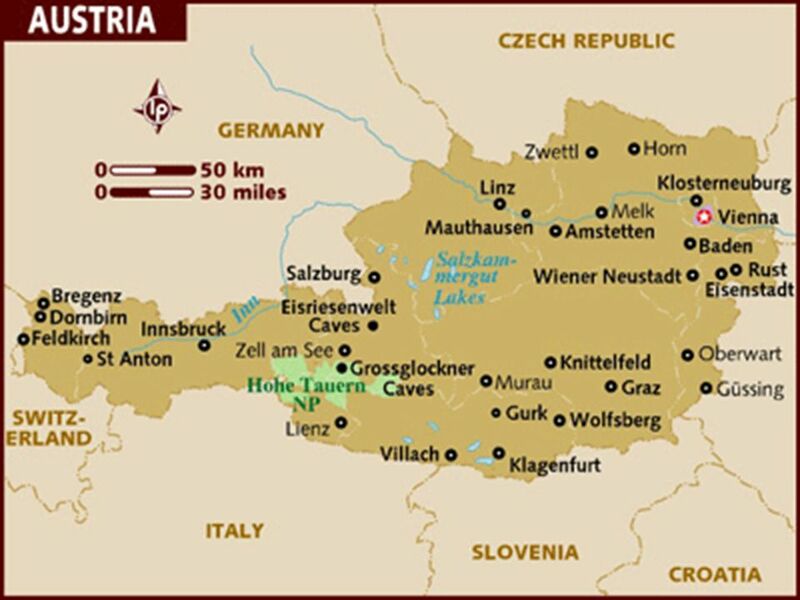 Wieviel kostet das? Ich möchte das kaufen. Wo ist die Kasse? Es ist mir ist schlecht. Ich bin müde/krank/hungrig/traurig/glücklich. 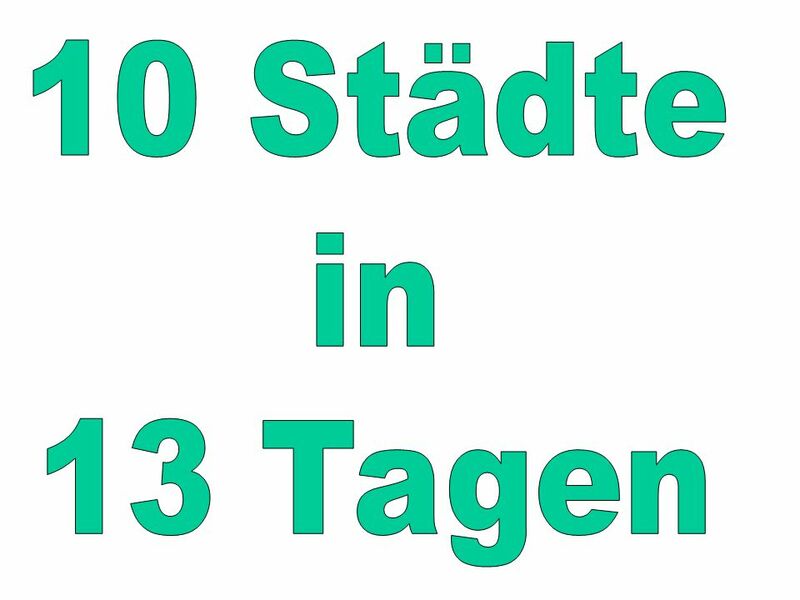 Wo steht man an? 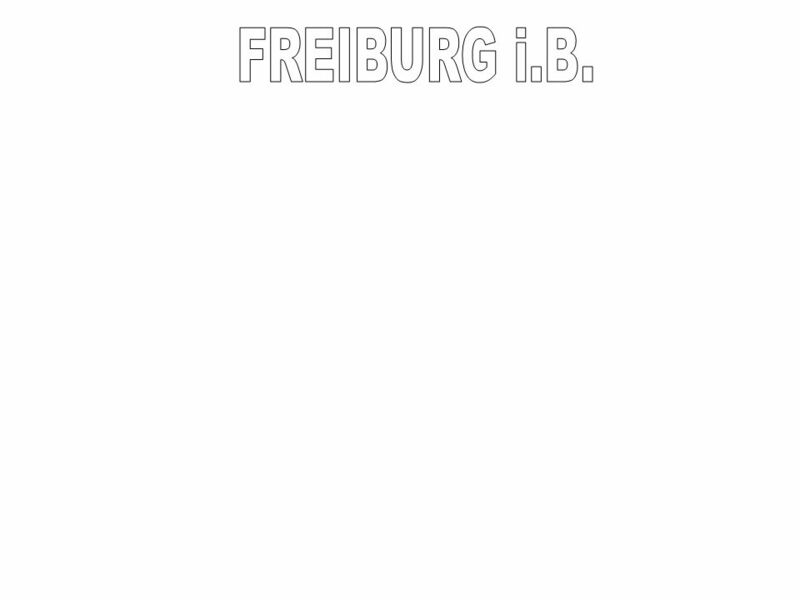 Ich brauche eine Eintrittskarte/eine Kinokarte/eine Fahrkarte. Haben Sie…? Entschuldigung. 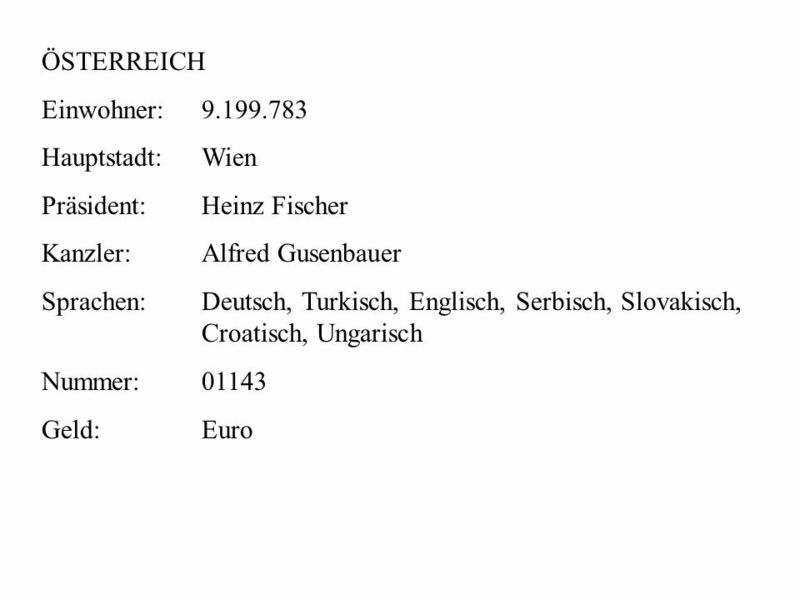 Verzeihung. DANKE! 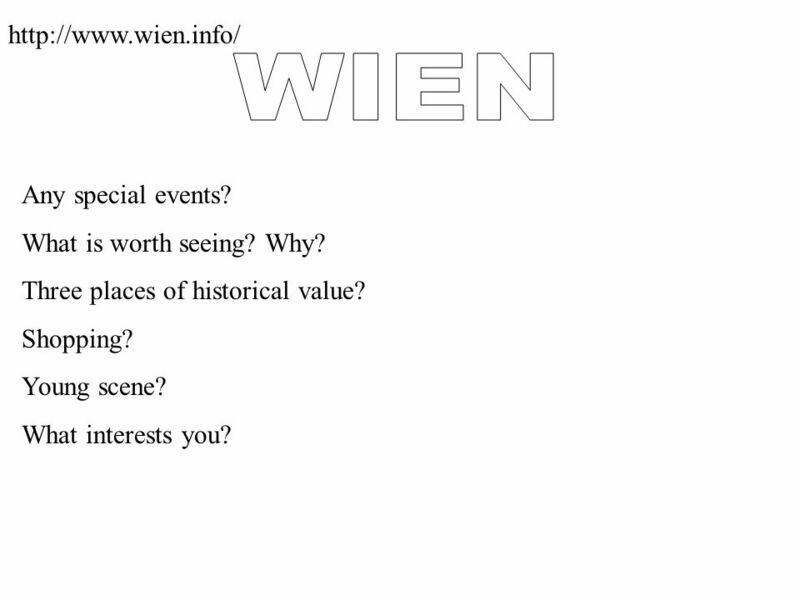 9 http://www.wien.info/ Any special events? What is worth seeing? Why? Three places of historical value? Shopping? Young scene? What interests you? 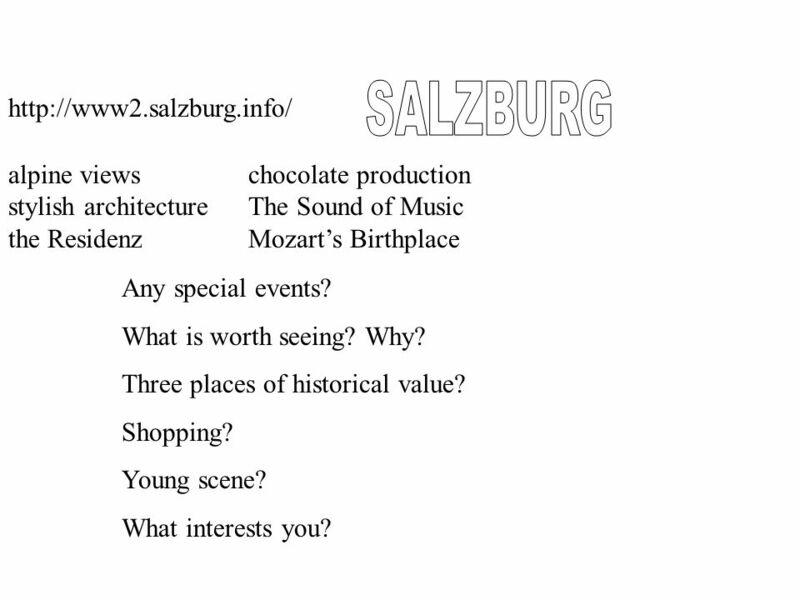 11 http://www2.salzburg.info/ alpine viewschocolate production stylish architecture The Sound of Music the Residenz Mozart’s Birthplace Any special events? What is worth seeing? Why? Three places of historical value? Shopping? Young scene? What interests you? 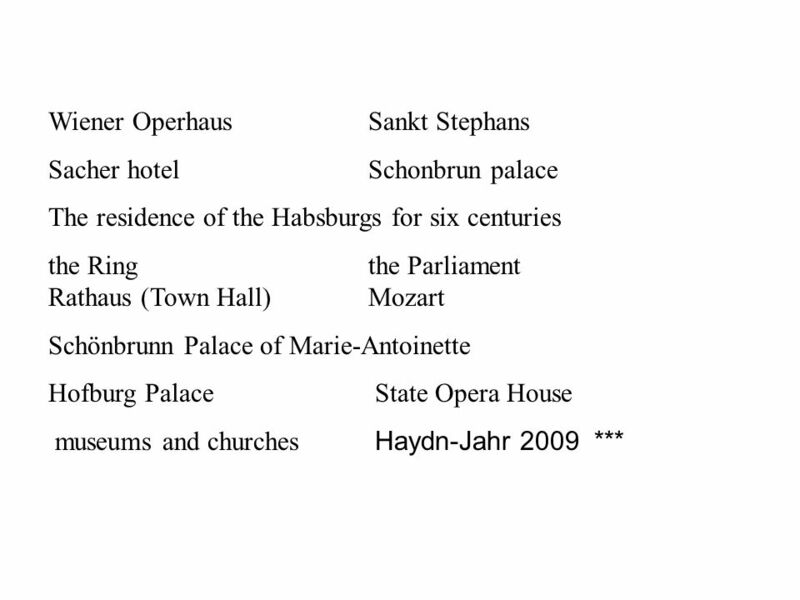 12 45 museums10 university buildings two opera housesOlympic center Hofbrauhaus traditional Bavarian music Mike’s Bike Tour Marienplatz Wittellsbach familyDeustches Museum English Garden train station Frauenkirche food market Dachau http://www.muenchen.de/home/60093/Homepage.html Any special events? What is worth seeing? Why? Three places of historical value? Shopping? Young scene? What interests you? 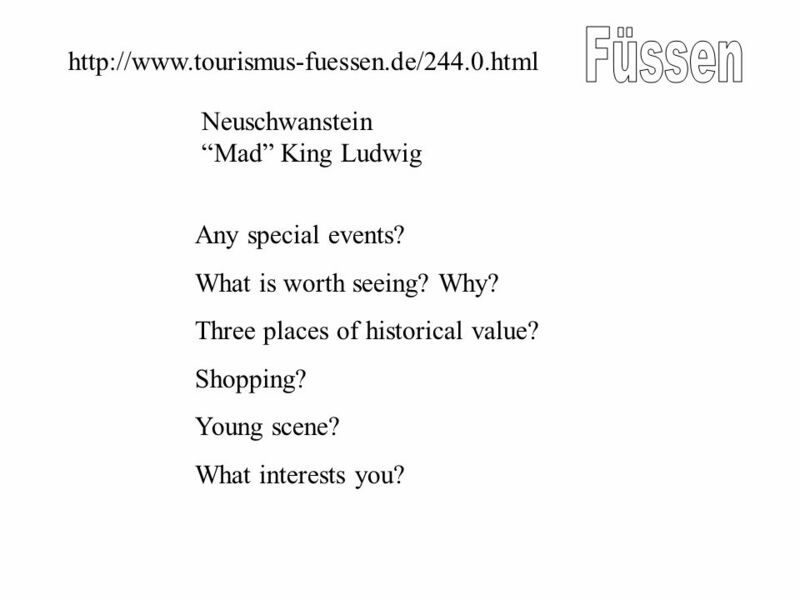 13 Neuschwanstein “Mad” King Ludwig http://www.tourismus-fuessen.de/244.0.html Any special events? What is worth seeing? Why? Three places of historical value? Shopping? Young scene? What interests you? 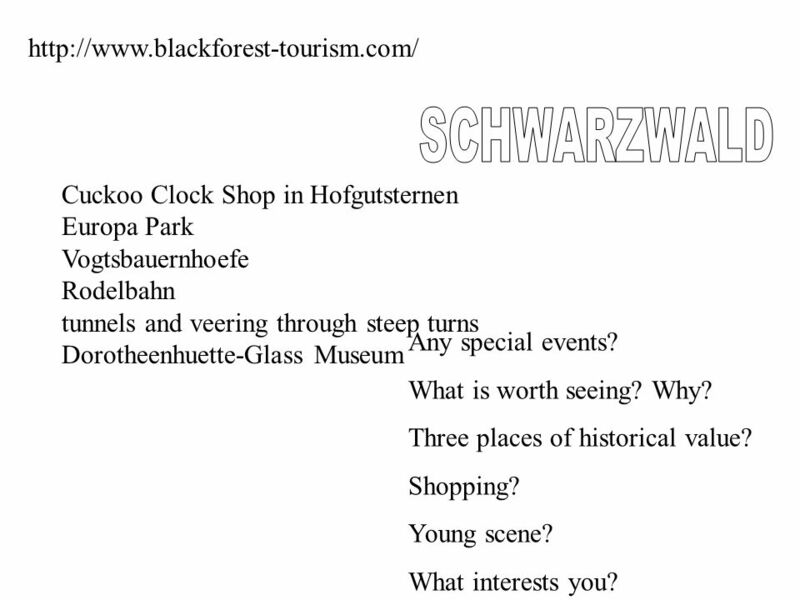 15 Cuckoo Clock Shop in Hofgutsternen Europa Park Vogtsbauernhoefe Rodelbahn tunnels and veering through steep turns Dorotheenhuette-Glass Museum http://www.blackforest-tourism.com/ Any special events? What is worth seeing? Why? Three places of historical value? Shopping? Young scene? What interests you? 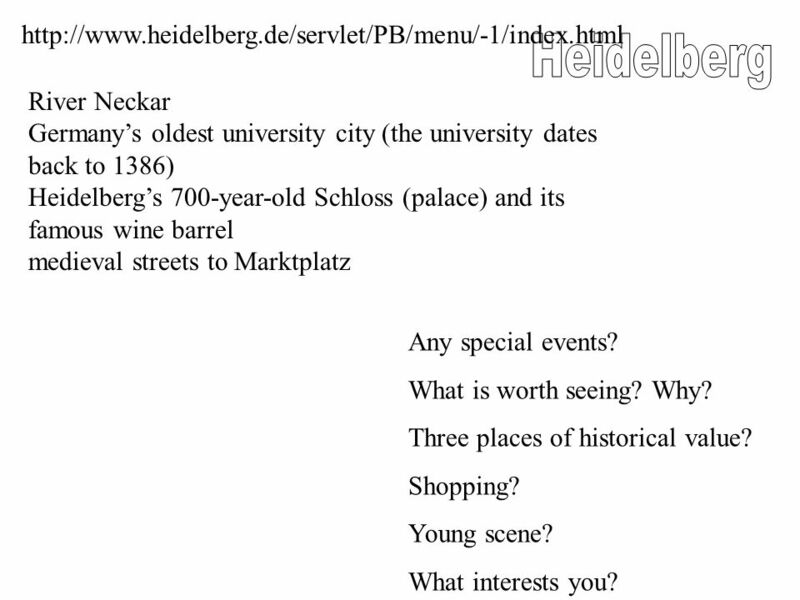 16 http://www.heidelberg.de/servlet/PB/menu/-1/index.html River Neckar Germany’s oldest university city (the university dates back to 1386) Heidelberg’s 700-year-old Schloss (palace) and its famous wine barrel medieval streets to Marktplatz Any special events? What is worth seeing? Why? Three places of historical value? Shopping? Young scene? What interests you? 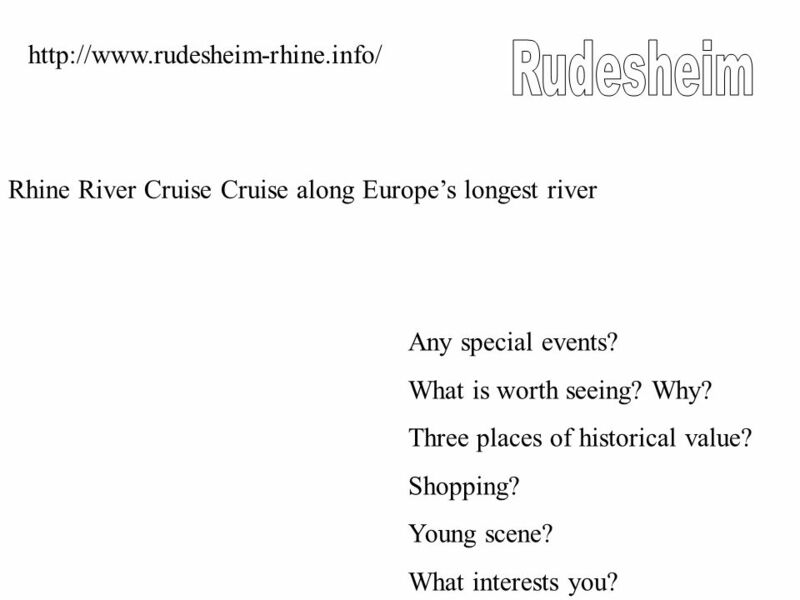 17 Rhine River Cruise Cruise along Europe’s longest river http://www.rudesheim-rhine.info/ Any special events? What is worth seeing? Why? Three places of historical value? Shopping? Young scene? What interests you? 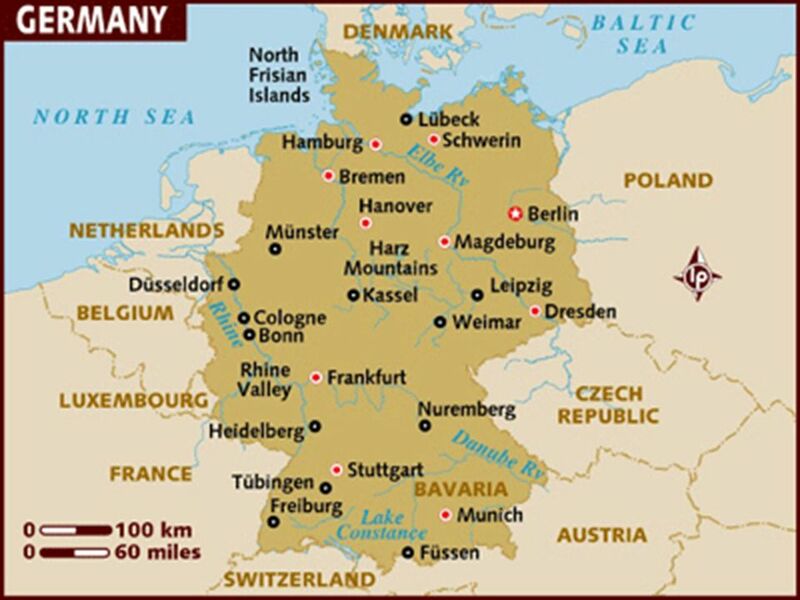 18 sightseeing of Koblenz Rhine and Mosel Rivers two millennia by Rome, the Franks, France, Prussia, and Germany. 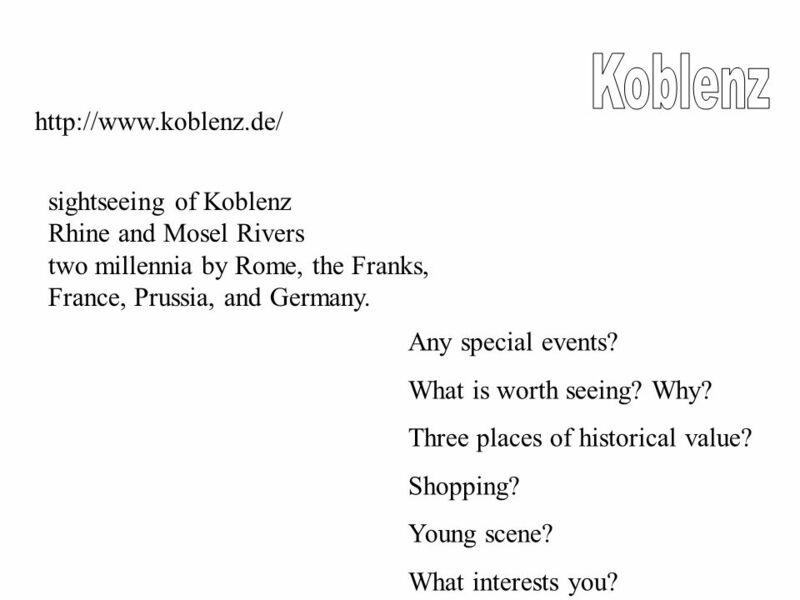 http://www.koblenz.de/ Any special events? What is worth seeing? Why? Three places of historical value? Shopping? Young scene? What interests you? 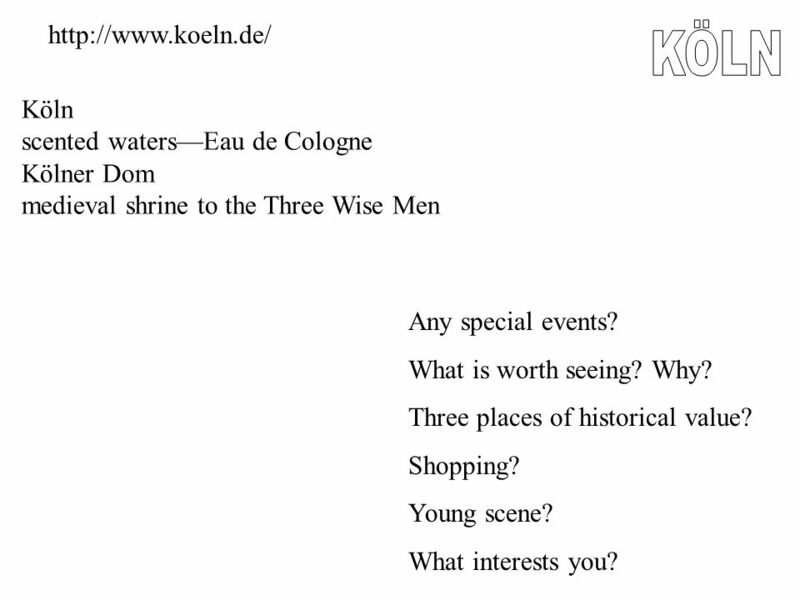 19 Köln scented waters—Eau de Cologne Kölner Dom medieval shrine to the Three Wise Men http://www.koeln.de/ Any special events? What is worth seeing? Why? Three places of historical value? Shopping? Young scene? What interests you? 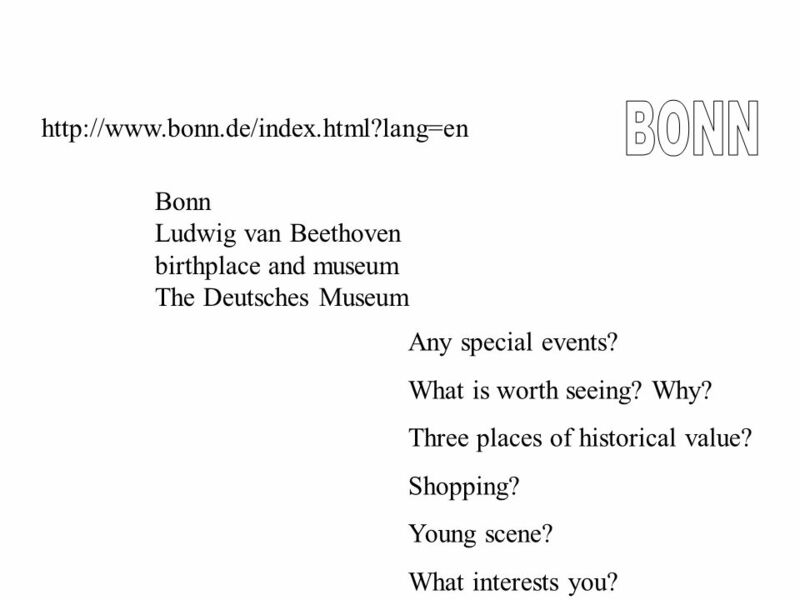 20 Bonn Ludwig van Beethoven birthplace and museum The Deutsches Museum http://www.bonn.de/index.html?lang=en Any special events? What is worth seeing? Why? Three places of historical value? Shopping? 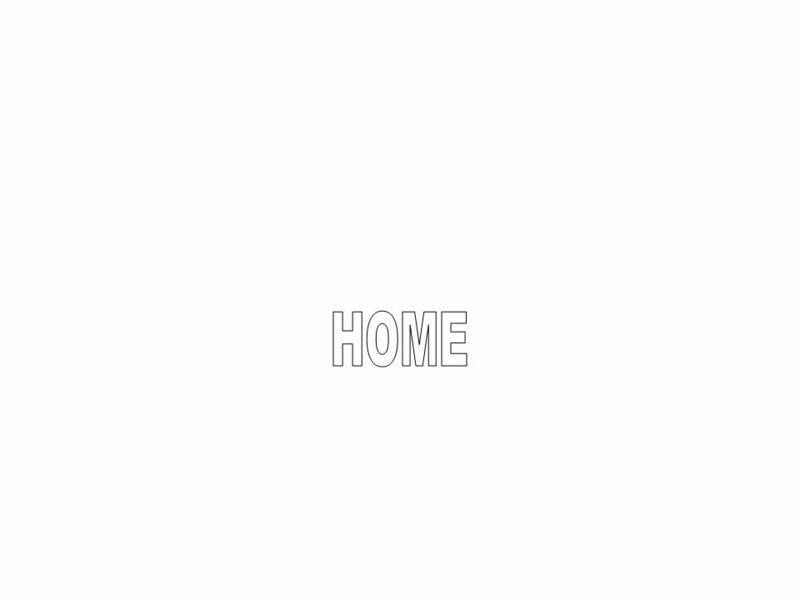 Young scene? What interests you? 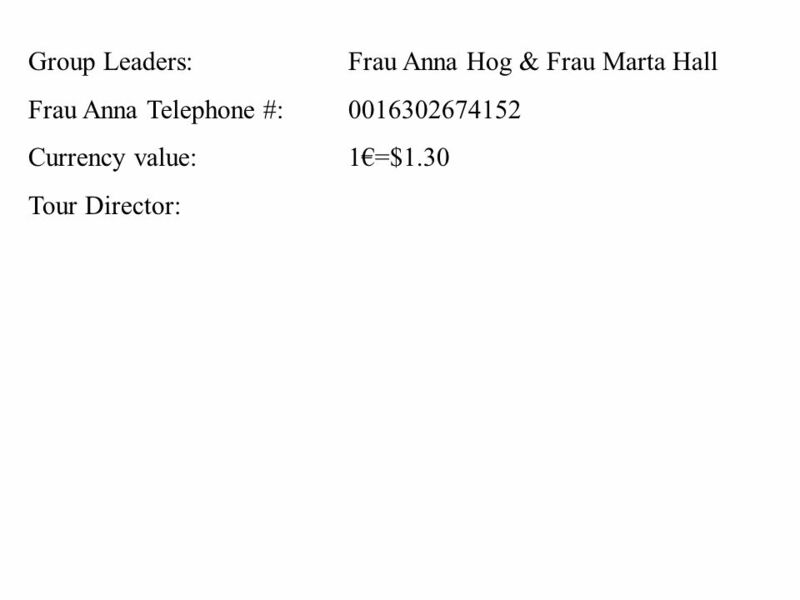 Herunterladen ppt "Group Leaders: Frau Anna Hog & Frau Marta Hall Frau Anna Telephone #:0016302674152 Currency value:1€=$1.30 Tour Director:"